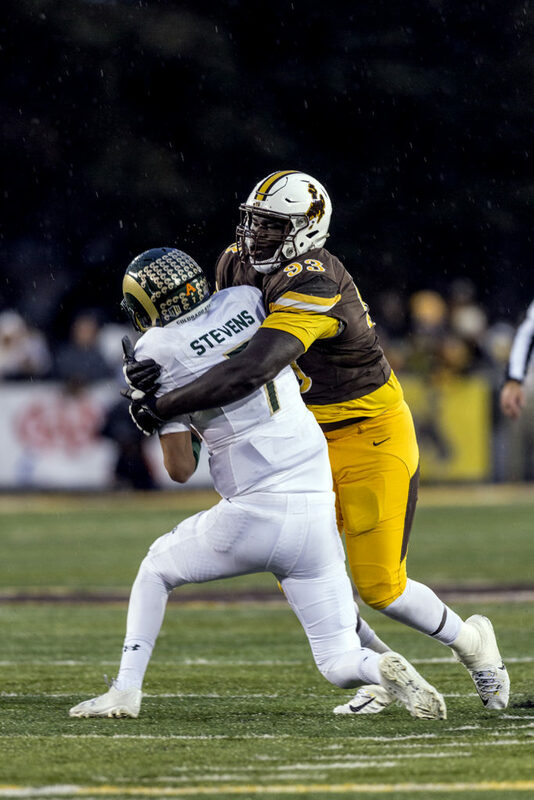 Wyoming will begin their 2018 football season this coming Saturday, on the road, at New Mexico State. The Aggies are coming off one of their strongest seasons in program history, going 7-6 for their third season with seven wins since 1967. The Aggies capped last season by beating Utah State 26-20 in the Arizona Bowl. The Aggies had a strong year behind running back Larry Rose III and quarterback Tyler Rogers. Those two players are both gone now and new Aggies will be stepping up to fill those voids. The Aggies are under the direction of coach Doug Martin who is entering his sixth season in Las Cruces. New Mexico State has fallen on hard times until this past season. Previously, they had only five winning seasons since 1970. The 2017 season was the first time the Aggies had ever been to a bowl game. Needless to say, despite the hard times the program has fallen on in the past, Doug Martin quite possibly has them trending in the right direction. The Aggies are a team without a home this year, however, as they are playing as an FBS Independent. Following the 2017 season New Mexico State, as well as Idaho, were removed from the Sun Belt Conference. The Sun Belt was interested in focusing more in the southeastern part of the US, while Idaho and New Mexico do not fit that geographic criteria. That being said, the Aggies are looking to turn their football fortunes and turn in consecutive winning seasons for the first time since the late 60’s. To do that the Aggies will need to get past a salty Wyoming defense who finished 23rd in the country in total yards last season and led the country in turnover margin. One common denominator with these two teams leading into the game is that both teams will be starting new quarterbacks. The Aggies will be relying on Matt Romero, a junior from Oceanside, CA, a transfer from Palomar College. Wyoming will be breaking in redshirt freshman Tyler Vander Waal from Elk Grove, CA. The Cowboys will be returning most of their top-flight defense from last season, including Andrew Wingard and Carl Granderson. Wingard and Granderson have been named to several award watch lists leading into the season. Wingard figures to be one of the top safeties in the country. Wingard finished 28th in the country in tackles last season while Granderson finished 21st in sacks nationally. Looking over last year’s numbers won’t tell us much about Saturday, but can tell you where these teams have been most recently. The game will air live on ESPN2 on Saturday night beginning at 8pm from Aggie Memorial Stadium in Las Cruces. Slow clap my friend, slow clap.. well done.